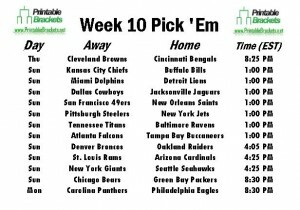 Running an NFL office pool? 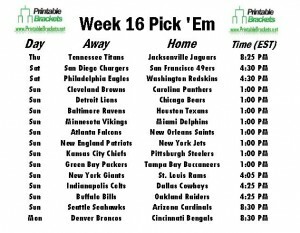 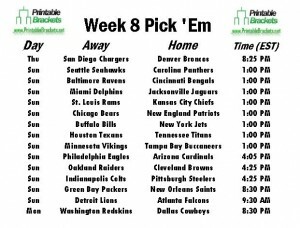 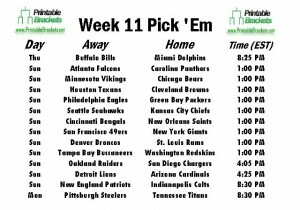 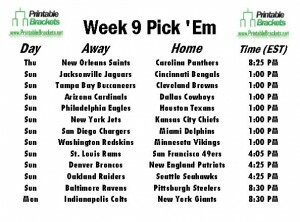 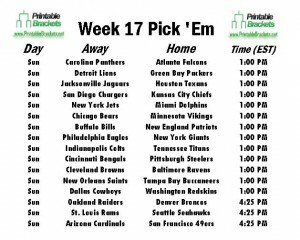 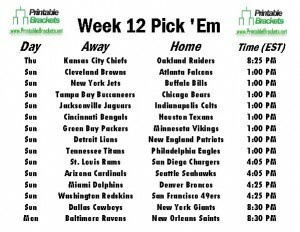 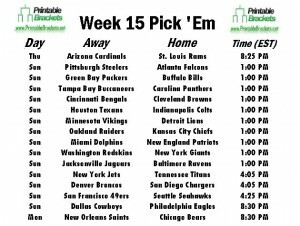 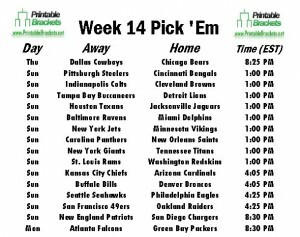 Get printable NFL Pick Em sheets for all 17 weeks of the season for free right here. 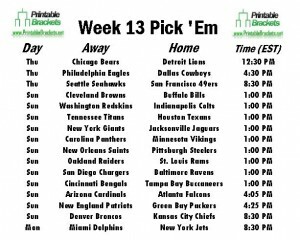 Week 11 of the 2014 NFL season kicks off with the Buffalo Bills battling the Miami Dolphins on “Thursday Night Football”….